Signs of Lung Cancer in Females – Lung cancer is the most common cancer, affecting both men and women. According to the Curie Institute, one in two people will develop cancer during their lifetime. In the United States, the mortality rate from lung cancer has even exceeded that of breast cancer among women! It is vital to evaluate the risk factors for this disease and to pay attention to the warning signs of this type of cancer. 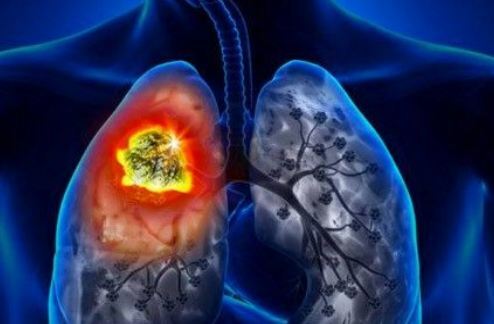 How to reduce the risk of developing lung cancer? Lung cancer: what tests to perform? Smoking is the leading cause of lung cancer. Indeed, the link between smoking and this cancer is very narrow and about 90% of lung cancer cases are the result of smoking. The risk is increased according to the number of cigarettes consumed per day and the number of years spent smoking. One in seven smokers dies of lung cancer. No need to be a smoker to put your health at risk … The smoke emanating from a cigarette contains many carcinogenic chemicals. The risk of lung cancer is increased when you are exposed to the smoke of others. Prolonged exposure to highly polluted air has the same risk as passive smoking of developing lung cancer one day. Also, although the use of asbestos is limited or banned in many countries, asbestos fibers have nevertheless been widely used in the past. There are other harmful chemicals that are carcinogenic (used in the chemical industry) such as arsenic, beryllium, cadmium, coal, silica, and nickel. This naturally radioactive gas is derived from uranium. Totally invisible and odorless, it can spread to the ground and even enter the house (toxic). Genetic factors also come into play. People with a family member affected by lung cancer have a greater risk of developing lung cancer. Several studies converge in this direction. A study conducted by 19 international researchers published in the scientific journal Nature in 2008 showed that there was a genetic predisposition to lung cancer. Some lung diseases are a risk factor for lung cancer, such as pulmonary fibrosis or COPD (Chronic Obstructive Pulmonary Disease is a chronic respiratory disease that affects people over 45 years of age or who are occupationally exposed to toxic substances. ). About 70% of people diagnosed with lung cancer are over the age of 65, while less than 3% of lung cancers affect people under 45 years of age. If you have a cold, the cough should disappear after one or two weeks, but if it persists for a long time, you should consult your doctor to check your condition. Especially if you smoke and you have a chronic cough: changes in a chronic cough (more frequent, very strong desire to cough, cough with a very hoarse sound, presence of blood in the sputum, increased mucus ). If you run out of breath performing a task that you had no trouble doing before, it may be a symptom of lung cancer. It occurs when the tumor narrows the airways and spreads to the lymph nodes and chest. If you feel a pain in the chest, it may mean that the lung cancer has spread to the bones, hence the bread in these parts of the body. If the tumor has spread to the brain, it can cause a number of neurological symptoms such as headaches and migraines. If you see these signs, be extra vigilant vis-à-vis those messages from your body and if the pain persists, it is better to consult a doctor. Asthma and other allergies can cause a whistling sound during breathing. This whistle can also be a symptom of lung cancer. If he persists, see a doctor to check your health. Do you experience changes in your voice? A hoarse and deep voice, hoarseness so that you are not caught a cold … If this hoarseness persists, consult a doctor. If they are recurring or do not go away consult a doctor. It is perhaps a sign of lung cancer. These symptoms are not specific to lung cancer and can be observed in many other cases of cancers or diseases. If these unexplained changes persist, you must consult the doctor to determine the cause. The best way to Reduce this risk is to quit smoking if you already have-nots. And if you are a passive smoker, you should limit or even stop exposure to tobacco smoke. If you think your home is infiltrated with radon, you can buy a meter to check. Another way to reduce the risk of lung cancer. This is to take precautionary measures to protect yourself from these chemicals (mask, overalls …). A lifestyle changes can help Reduce this risk: regular exercise Reduces the Risk of Developing Cancer, a diet high in fiber with plenty of fruit and vegetables … In fact, Many studies show That was Increased consumption of fruits (beta-carotene) and vegetables can reduce the risk of lung cancer. X-rays of the lungs are not very effective at detecting lung cancer at an early stage. Computed tomography (a set of detailed body X-rays) is a test that can detect early-stage lung cancer, helping to reduce mortality from this disease. A biopsy can be performed (taking a sample of the lung with a thin needle) or bronchoscopy (internal examination of the lungs using a thin tube that is inserted through the mouth to check for the presence of a tumor. What is The Effect of Alcohol on the Body?